12 Apr 2019 – According to the Nuremberg Principles, the citizens of a country have a responsibility for the crimes that their governments commit. But to prevent these crimes, the people need to have some knowledge of what is going on. Indeed, democracy cannot function at all without this knowledge, If Julian Assange becomes a martyr to the truth like Galileo or Bruno, his name will be honored in the future, and the shame of his captors will be remembered too. I would like to announce the publication of a new book entitled We Need an Ecological Revolution. It can be freely downloaded and circulated . 1 Mar 2019 – What would Mahatma Gandhi say about the threat of war between India and Pakistan, which has brought the two nations and the world to the brink of a nuclear catastrophe? Throughout the struggle for Indian independence, Gandhi was faced with the serious problem of avoiding conflict between religious groups once independence had been achieved. He made every effort to bridge the rift between the Hindu and Muslim communities. 16 Dec 2018 – Just as the United States once declared its independence from Britain, so Europe and the remainder of the world ought to declare independence from the United States. Clearly, insane arrogance, hubris, contempt for international law, racism and many of the aspects of fascism do not deserve to be blindly followed. Whatever moral authority the USA may once have had has evaporated in a seemingly endless series of aggressive foreign wars and drone killings. Politeness requires that we do not talk about issues that might be contrary to another person’s beliefs. Thus polite conversation is dominated by trivia, entertainment, sports, the weather, gossip, food, and so on. Worries about the distant future , the danger of nuclear war, the danger of uncontrollable climate change, or the danger of widespread famine seldom appear in conversations at the dinner table, over coffee or at the pub. In conversations between polite people, the situation is exactly the same as in the mass media. 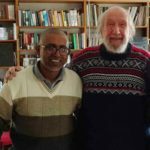 John Scales Avery: Dear friend and colleague in the peace movement, dear highly respected and admired Editor Binu Mathew, can you tell us what are the influences that led you to become the Editor of Countercurrents.org, one of the world’s most important and influential alternative news websites? The mass media could mobilize us to action, but they have failed in their duty. Our educational systems could also wake us up and make us act, but they too have failed us. The battle to save the earth from human greed and folly has to be fought in the alternative media. The alternative media, and all who work with them deserve both our gratitude and our financial support. 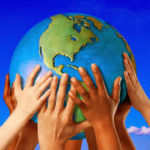 They alone can correct the distorted and incomplete picture of the world that we obtain from the mass media. They alone can show us the path to a future in which our children, grandchildren, and all future generations can survive. In thinking of violence and war, we must be extremely careful not to confuse the behavioral patterns that lead to wife-beating or barroom brawls with those like the trench warfare of WW-I, or to the nuclear bombing of Hiroshima and Nagasaki. The first type of aggression is similar to the rank-determining fights of animals, while the second is more akin to the team-spirit exhibited by a football side. Heroic behavior in defense of one’s community has been praised throughout the ages, but the tendency to such behavior has now become a threat to the survival of civilization, since tribalism makes war possible. 13 Aug 2018 – In general, nations should not act unilaterally in foreign affairs. They should instead support international law and the United Nations. But there is one thing that we can and should do on our own: We can unilaterally stop being nasty! Has anyone thought of treating North Korea with kindness? It might be a useful experiment to try. 4 Aug 2018 – One hopes that human wisdom and ethics will continue to grow, but unlimited growth of population and industry on a finite earth is a logical impossibility. I would like to announce the publication of a book addressing these problems, entitled “Population and the Environment”. The book may be freely downloaded and circulated. Economists (with a few notable exceptions) have long behaved as though growth were synonymous with economic health. If the gross national product of a country increases steadily by 4 percent per year, most economists express approval and say that the economy is healthy. If the economy could be made to grow still faster (they maintain), it would be still healthier. Conflicts and famine are interlinked. The struggle for food produces conflicts; famine is often used as an instrument of war. Food aid, when available, is often deliberately blocked or destroyed by warring factions. While making many parts of the world uninhabitable, long-term climate change will make other regions more suitable for human habitation and agriculture. For example, farming will become more possible in Siberia, Greenland, the Canadian Arctic, Alaska and Patagonia. A humane response to the refugee crisis could include the generous opening of these regions to refuges. 25 Avr 2018 – Je voudrais vous annoncer la publication d’un nouveau livre intitulé The Devil’s Dynamo [La dynamo du diable]. Il s’agit d’une collection d’articles et de textes sur la façon dont les complexes militaro-industriels du monde entier conduisent et perpétuent la guerre. We Need Their Voices Today! (22) And Yours! At a time of crisis, with the future at stake, please don’t be silent. We urgently need your voice today! 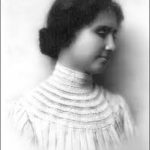 Helen Keller, who although deaf and blind, could see injustice clearly, who could hear the voices of victims of war, and who spoke eloquently for social reform, we need your voice today! George Orwell, brilliant and honest writer, lifelong opponent of tyranny, we need your voice today! Bertha von Suttner, famous antiwar author, friend and mentor of Alfred Nobel without whose advice to him the Peace Prize would not exist, early leader of the peace movement, we need your voice today! Edna St. Vincent Millay, eloquent poet with a deep concern for the future of humanity, we need your voice today! Albert Einstein, great physicist and lifelong pacifist, we need your voice today! Wilfred Owen, eloquent opponent of war, tragic victim of war, we need your voice today! Count Leo Tolstoy, great author and humanist, pioneer of nonviolent resistance, we need your voice today! John Stuart Mill, economist with a social and ecological conscience, defender of individual liberty, pioneering advocate of the rights of women, we need your voice today! Robert Owen, pioneer of the cooperative movement, pioneer of social and economic reform, we need your voice today! Largely unrecognized during his lifetime, Shelley is today considered to be one of the major English-language poets. 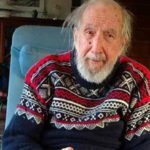 Less well known is the fact that he was a pioneer of non-violent resistance to tyranny, whose ideas influenced Henry David Thoreau, Leo Tolstoy and Mahatma Gandhi. Percy Bysshe Shelley, major poet, social reformer, pioneer of non-violent resistance to tyranny, we need your voice today! William Godwin, believer in liberty, individual judgement, absolute honesty and unselfish service to humanity as a whole, we need your voice today! Thomas Jefferson, architect of American democracy, we need your voice today! William Blake, sublime visionary poet and artist, voice of the poor. Voice of nature, we need your voice today! Society, like any system that has energy, is subject to the second law of thermodynamics, which express the entropy (scattering) of all energy. Our article is devoted to this subject, but within the framework of society and from the unique position of social harmony and disharmony of its structural carriers. 18 Feb 2017 – In his book, The Deep State: The Fall of the Constitution and the Rise of a Shadow Government, Mike Lofgren called attention to the fact that much of the real power in Washington is not controlled by the President and members of Congress, but is in the hands of multi-billion-dollar organizations that are not only huge, but also unelected and secret, for example the CIA, NSA and FBI. 20 Jan 2017 – There are many governments today that can be described unjust, and some that even deserve to be called fascist. What is the duty of the individual citizen, living under such a government? Today the world spends more than 1.7 trillion dollars ( $1,700,000,000,000) every year on armaments. This vast river of money, almost too large to be imagined, is the “devil’s dynamo” driving the institution of war. Politicians notoriously can be bought with a tiny fraction of this enormous amount; hence the decay of democracy. Today human civilization and the biosphere face two existential threats: catastrophic climate change, and thermonuclear war. Each of these disasters could cause mass extinctions, and each could make large portions of the earth permanently uninhabitable. The participants in the current UN climate talks in Marrakech are extremely worried about the effect that his election will have on the viability of the Paris climate agreement. Trump has stated in his campaign speeches that, if elected, he would pull the United States out of the Paris agreement. 28 Oct 2016 – President Mikhail Gorbachev, former leader of the Soviet Union and recipient of the 1990 Nobel Peace Prize, has appealed to world leaders to reduce the dangerous the tensions which today threaten to plunge human civilization and the biosphere into an all-destroying nuclear war. The drift towards militarism and fascism which we can observe today, not only in the United States but also in several other countries, is worryingly reminiscent of the 1930’s. We must fervently hope that the disasters which resulted then from the rise of fascism and militarism will not occur again, and we must work with dedication to prevent this from happening. I would like to announce that an updated and very much enlarged edition of my book “Science and Society” will very soon be published by World Scientific (in November, 2016). Locally printed editions of it were used in courses taught not only in Denmark, but also in Sweden, Switzerland, England and Myanmar. It would be very good if the book could be used at the high-school or gymnasium level, as well as in colleges and universities. An externality is the cost or benefit of some unintended consequence of an economic action. For example, tobacco companies do not really wish for their customers to die from cancer, but a large percentage of them do, and the social costs of this slaughter ought to be reflected in the price of tobacco. The true environmental costs of fossil fuel use are much greater than those of smoking. From the standpoint of evolutionary theory, this is a paradox. As a species, we are well on the road to committing collective suicide, driven by the flaws in human nature. But isn’t natural selection supposed to produce traits that lead to survival? Today, our emotions are not leading us towards survival, but instead driving us towards extinction. What is the reason for this paradox? We need to wake up to the real dangers that are facing humanity. Terrorism is not a real danger. The number of people killed by terrorists each year is vanishingly small compared to the number killed in traffic accidents, not to mention the tens of millions who die each year from starvation and preventable diseases. But the mass media shamelessly magnify terrorist events (some of which may be false flag actions) out of all proportion in order to allow governments to abolish civil liberties and crush dissent. 18 Jun 2016 – NATO is supposed to be a defensive alliance, whose purpose is to “protect Europe from aggression”; but today it is an aggressive tool of the United States. In recent years, participation in NATO has made European countries accomplices in US efforts to achieve global hegemony by means of military force, in violation of international law, and especially in violation of the UN Charter, the Nuremberg Principles. 10 Jun 2016 – Many people throughout the world view recent political developments in the United States with alarm. Is the US drifting towards fascism? If so, is there a danger that the world will be plunged into an all-destroying thermonuclear war? Will political irresponsibility in the United States result in climate change denial? Will all hope of avoiding catastrophic climate change then be lost? Superdelegates were introduced by the US Democratic Party in 1984 (the year in which George Orwell’s prophetic book is set). These unelected delegates are party officials, and their purpose is to circumvent the popular will. They are supposed to choose an electable candidate in case the voters choose an unelectable one. There is a real danger that Donald Trump, who is not only xenophobic, racist and hatemongering, but also misogynistic, wildly erratic and manifestly unqualified for the post, could be elected to the US Presidency in November. In an amazing display of collective schizophrenia, our media treat oil production and the global climate emergency as though they were totally disconnected. I strongly believe that we must not allow ourselves the luxury of fatalism, especially today, when our future is darkened by the twin threats of catastrophic climate change and thermonuclear war. We must accept our responsibility for both the near and the distant futures. We must save the environment, plants and animals from extinction, and make a world in which our children and their descendants can survive. 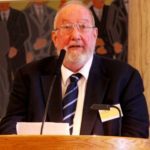 14 Apr 2016 – In a recent speech to the World Future Council, the distinguished writer, philanthropist, activist and former politician Jacob von Uexküll outlined the future dangers facing our world with an accuracy and eloquence that has seldom been equaled. 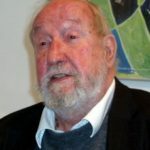 Besides being a former member of the European Parliament and a leader of the German Green Party, von Uexküll himself founded both the Right Livelihood Award (sometimes called the Alternative Nobel Prize) and the World Future Council. When it became clear that smoking is a serious danger to health, films and television dramas rose to their responsibility and stopped showing people with cigarettes drooping from their lips. Can we not have similar responsibility today, when the future of the biosphere depends on everyone rapidly adopting an oil-free lifestyle? Among the symptoms of loss of solidarity is the drift towards violence, racism and aggressive foreign policy that can be seen in the United States. Another warning symptom is the inhospitable reception that refugees have received in Europe and elsewhere. The Need for a New Economic System is a new book based on the series of articles that I published on TRANSCEND Media Service during the autumn of 2015. It deals with the very urgent problems that are facing the world today, all of which are linked to our need for a reformed and sustainable economic system. After discussing the Bikini test and its radioactive fallout with Joseph Rotblat, Lord Russell became concerned for the future of the human gene pool if large numbers of such bombs should ever be used in a war. To warn humanity of the danger, he wrote what came to be known as the Russell-Einstein Manifesto. The resistance factors produced by shovelling antibiotics into animal food produces resistance factors (plasmids) which can easily be transferred to human pathogens. A related problem is the excessive use of pesticides and artificial fossil-fuel-derived fertilizers in agriculture. Pharming is not a joke. It is a serious threat. Human nature has two sides: It has a dark side, to which nationalism and militarism appeal; but our species also has a genius for cooperation, which we can see in the growth of culture. Our modern civilization has been built up by means of a worldwide exchange of ideas and inventions. The recent Republican presidential debates were held in the gaudy and luxurious Venetian Casino in Los Vegas, a building whose billionaire Republican-backing owner Sheldon Adelson held a private meeting with fellow-billionaire Donald Trump before the debate. Our entire system is leading us towards disaster, and this includes both economic and governmental establishments. To save human civilization, the biosphere and the future, the people of the world must take matters into their own hands and change the system. The ultimate fate of human civilization and the biosphere is in our hands. What we really have to fear, for the sake of our children and grandchildren and their descendants, is reaching a tipping point, beyond which uncontrollable feedback loops will make catastrophic climate change inevitable despite all human efforts to prevent it. The MIT Technology Review recently published an important article entitled “India’s Energy Crisis”. Have India’s economic planners really thought about the long-term future? Have they considered the fact that drastic climate change could make India completely uninhabitable? Brinksmanship is an insane and immoral game played by our arrogant and power-mad leaders. It is a game that the world could all too easily lose. We know from histories of the start of World War I how easily a small incident can escalate uncontrollably into a catastrophic global conflict. With thermonuclear weapons, the stakes are much higher today. The future of humanity and the biosphere are at stake. For more than a week after the terrorist attacks in Paris on 13 November, every television news program of any kind was completely dominated by non-stop day-and-night coverage of the “breaking news”. Let us hope that attention of the world and the focus of the delegates at the Paris Climate Conference will not be distracted by pseudo-threats, and will instead look seriously at the real threats that the world is facing. We urgently need a sense of proportion. I would like to suggest to SGI and to The Club of Rome that, because of the great importance of the book, it would be very desirable to re-issue “Before It Is Too Late” in a less expensive edition, and also to make it available as an e-book. The message and wisdom of the two famous and distinguished authors is much too valuable to be lost. In the future, small cooperative communities, like the Ghandian villages or Transition Towns, may be able to give us not only a more sustainable way of life, but also increased happiness, based warm life-long friendships and the pleasure of doing good to others. There is a danger that just as global population reaches the unprecedented level of 9 billion or more, the agricultural base for supporting it may suddenly collapse. Ecological catastrophe, possibly compounded by war and other disorders, could produce famine and death on a scale unprecedented in history, a disaster of unimaginable proportions, involving billions rather than millions of people. In the early 19th century, industrial society began to be governed by new rules: Traditions were forgotten and replaced by purely economic laws. Labor was viewed as a commodity, like coal or grain, and wages were paid according to the laws of supply and demand, without regard for the needs of the workers. The costs of war, both direct and indirect, are so enormous that they are almost beyond comprehension. Can we not rid ourselves of both nuclear weapons and the institution of war itself? We must act quickly and resolutely before our beautiful world is reduced to radioactive ashes, together with the people that we love. Our present economic system produces an endless series of resource-motivated wars. In addition to the enormous suffering, waste, injustice and ecological destruction produced by modern wars, we must recognize that in an era of thermonuclear weapons, war has become prohibitively dangerous. Therefore, we need a new economic system. These considerations point to a battle that will have to be fought by the people of the world who are concerned about the long-term future of human civilization and the biosphere, against the vested interests of our oligarchic rulers. This fight will require wide public discussion of the dangers of runaway climate change. At present, our corporate-controlled mass media hardly mention the long-term dangers, such as the methane hydrate feedback loop, so the battle will have to be fought in the alternative media. The disorder and statistical probability of the universe is constantly increasing, but because the earth is not a closed system, we are able to create local order, and complex, statistically improbable structures, like the works of Shakespeare, the Mona Lisa and the Internet. The human economy is driven by the free energy that we receive as income from the sun. Money is, in fact, a symbol for free energy, and free energy might be thought of as “negative entropy”. There is also a link between free energy and information. Any use of violence against Iran would be both insane and criminal. Such violence would violate both the UN Charter and the Nuremberg Principles. There is no hope at all for the future unless we work for a peaceful world, governed by international law, rather than a fearful world where brutal power holds sway. The unsustainable, power-worshiping, consumption-oriented values of western society are so strongly propagandized by television, films and advertising that they overpower and sweep aside the wisdom of older societies. The wisdom of our ancestors, their respect for nature and their hospitable traditions of sharing can help us create a new economic system founded on social and environmental ethics. Greed, in particular the greed of corporations and billionaire oligarchs, is driving human civilization and the biosphere towards disaster. The greed of giant fossil fuel corporations is driving us towards a tipping point after which human efforts to control climate change will be futile because feedback loops will have taken over. The greed of the military industrial complex is driving us towards a Third World War that might develop into a catastrophic thermonuclear war. The greed of our financial institutions is driving us towards economic collapse, as we see in the case of Greece. The election of Mogens Lykketoft as the new President of the United Nations General Assembly has opened the door to the solution of several of world’s most pressing problems. For example, it may now be possible to achieve a Nuclear Weapons Convention by a direct majority vote. Will the Real Issues Be Discussed in 2016 US Presidential Election? Most thoughtful people agree that the two most important issues facing humanity today are the threat of catastrophic and uncontrollable climate change, and the threat of nuclear war. Each of these threatened disasters has the potential to destroy human civilization and much of the biosphere. The military-industrial complex sells itself by claiming to defend civilians. It justifies vast and crippling budgets by this claim; but it is a fraud. For the military-industrial complex, the only goal is money and power. Civilians like ourselves are just hostages. We are expendable. Because of the astonishing properties of exponential growth, we can calculate that if these growth rates are maintained, renewable energy can give us 24.8 terawatts within only 15 years! This is far more than the world’s present use of all forms of energy. All of us must work with dedication to provide the political will needed to avoid catastrophic climate change. The strong and friendly voice of Pope Francis can give us hope and courage. Looking at the long-term future, we can calculate that any quantity increasing at the modest rate of 3% per year will grow by a factor of 20.1 in a century. This implies that in four centuries, whatever is growing at 3% will have increased by a factor of 163,000. These facts make it completely clear that long-continued economic growth on a finite planet is a logical absurdity. The Path to Zero: Dialogues on Nuclear Dangers, by Richard Falk and David Krieger – This book ought to be required reading for college students everywhere in the world, and also for decision-makers. It shakes us out of our complacency and makes us realize that widespread, immediate and dedicated public action is urgently needed if we are to save human civilization and the biosphere from a thermonuclear catastrophe.